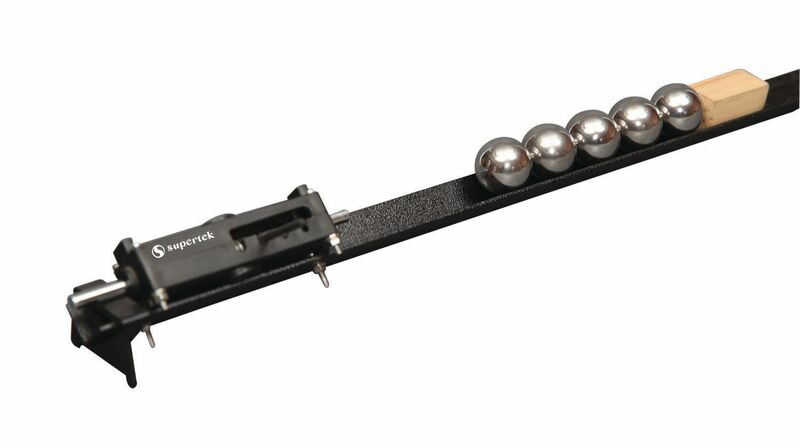 With the Force Mechanism Trough, students can research acceleration and the effect of gravity on a moving body by propelling steel balls or a wood block down an aluminum trough track. One experiment demonstrates conservation of momentum and energy in collisions. The other shows the difference between sliding and rolling friction. Ordering information: This kit includes a 43" long, all-aluminum, v-shaped track; injection molded plastic supports; trigger mechanism with four settings; five 3/4" dia. steel balls; irregular shaped wood block; and instructions.